Pacific Juniors was founded in 2009 by Sean and Mallory Douglas. 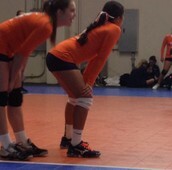 Pacific Juniors started with 8 girls teams ranging from 14-18 years of age. Pacific Juniors originally practiced out of the Arena in Upland. In 2011, the club added boys teams and grew to 18 girls teams. Pacific Juniors needed more courts to accommodate its growing number in teams and added Foothill Country Day in La Verne as a practice site. In October of 2012, Pacific Juniors moved into its new home in Claremont called the Pacific Athletic Center. 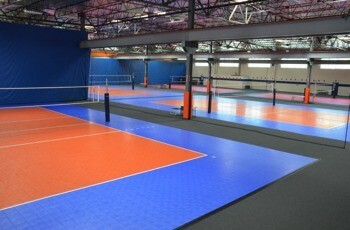 The Pacific Athletic Center houses 5 volleyball courts and a 5,000 sq./ft. weight room that includes a turf workout area. The club carried 19 girls teams ranging from the ages of 10-18 years old, as well as 3 boys teams ranging from 14-18 Years old. The Pacific Athletic Center includes a Bootcamp, PAC's Best, Crossfit, and our Pac Shop that makes our team uniforms as well as sells volleyball gear and snacks.